Pedigree information (it's for the River x Reagan litter, but River and Blue are full siblings). The puppies out of Reagan arrived on Monday, October 5, 2009. There are seven puppies in the litter - 5 boys and 2 girls. At this point in time, the girls are both spoken for as are two of the boys. A slideshow is available for each week of the puppies' lives. The first time the slideshow loads it may take a few moments longer. Enjoy!! 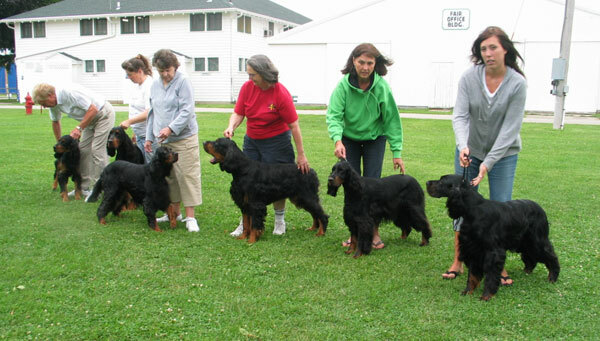 Puppies are as follows in birth order and will be presented in the slideshows in this order. Blue is Ch. Glen Oak's Azure Blue Merlot. He is out of Am/Australian/NZ/Can Ch. 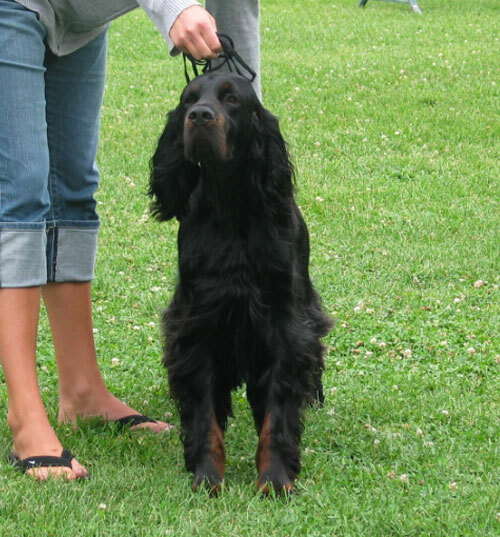 Triseter Ebonie Nirvana (Australian Import) x Ch. Glen Oak's Kinsey Report. 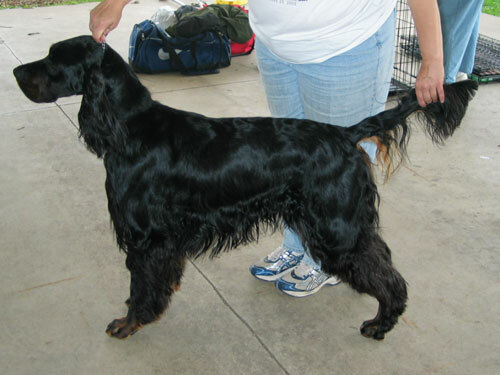 He is a full sibling to BISS Ch. MBIS U-GrCh. Glen Oak's River Breeze Shiraz (River), Ch. U-Ch. Glen Oaks' Afterglow o' Amethyst, JH, RN, CGC, TDI (Flame), Ch. U-Ch. Glen Oak's Black Swan Shiraz (Sydney) and Ch. U-Gr Ch. Glen Oak's Jackeroo Big Red (Jack). Blue is OFA Excellent, pure for black, has correct dentition. The "family" - Nirvana x Kinsey (All of these offspring are champions, some UKC champions as well). 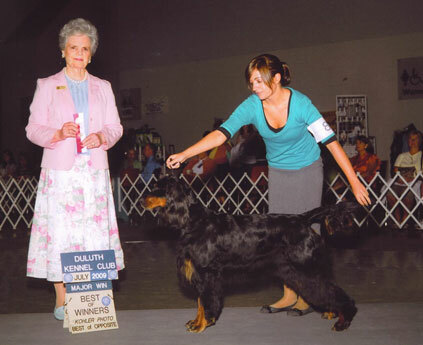 Flame (with Ron Pfeil), River (with Peggy DaValt), Kinsey (the mom-with Gwen Pfeil), Jack (thrilled with the whole thing with Marte Wetzel), Sydney (with Beth Hintz) and Blue (with Krysta Bahr). - July 2009. Reagan is Amethyst Snowfire, JH. She has 13 points, one major. 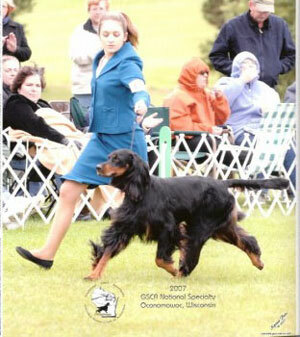 She will return to the show ring to finish her AKC Championship after the pups leave. She finished her JH title in 4 tries and was fondly referred to as the Reagan-ator. She is out of Ch. Hernwood Crystal Snowfall (UK Import) (Blizzard) and Trial by Fire o' Amethyst (Ice). Reagan is OFA Good, has correct dentition.